You first learnt about them in school when the teacher told you they are fruits and not berries. Your second encounter with ‘them’ was at your aunt’s place when she served you her special cake. 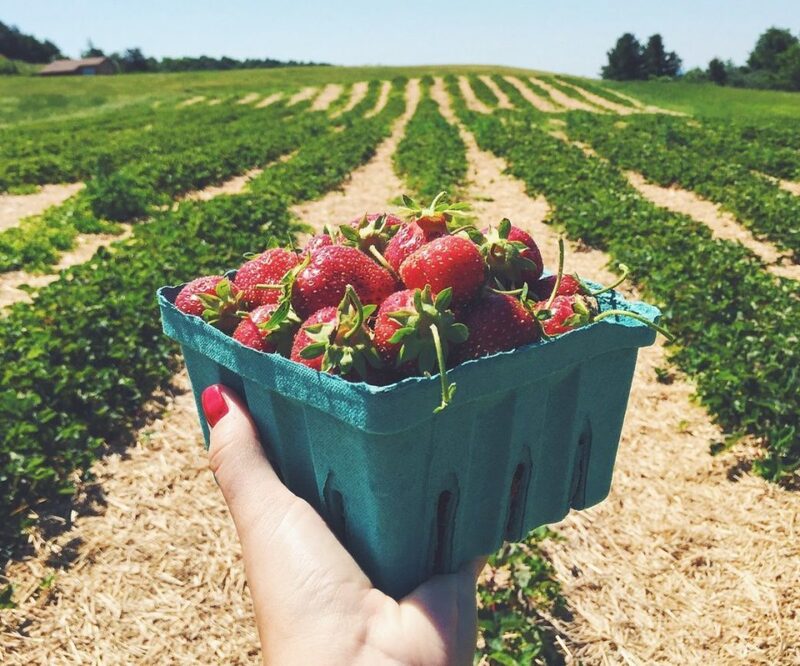 Love for strawberries is a never-ending saga. Be it cheesecakes, jams, macaroons or ice-creams, a strawberry lover is never disappointed in a cakery. Why go to Panchmani when you can have them all here, all grown in a village right in your city? Only 35 km from Connaught Place, a farmer grows organic strawberries with the Yamuna waters. Not to worry, the village is situated where the Yamuna enters Delhi and boasts to be the cleanest water in the city. The strawberries will be fresh and organic. 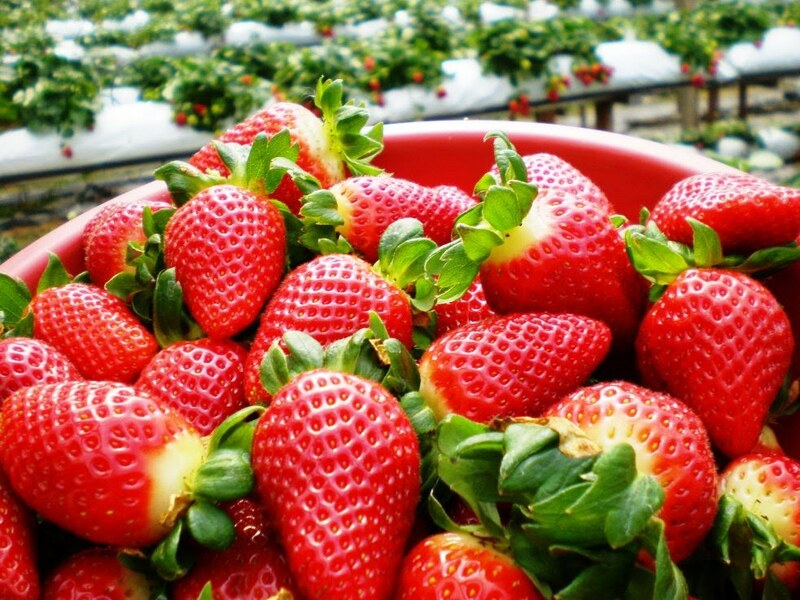 Not just one or two, but there are five different varieties of strawberries such as San Adrian, Winter Down, Sweet Session, Winter Star, Sweet Charlie grown on this 20-acre farm in Palla. People in the village have left their engineering careers to farming. The villagers are smiling all as in the forthcoming months of February and March, the sale of these fruits see a remarkable high! The production is such that they sell it to cities like Jabalpur, Kolkata, Jalandhar, Lucknow, Jaipur and Amritsar. 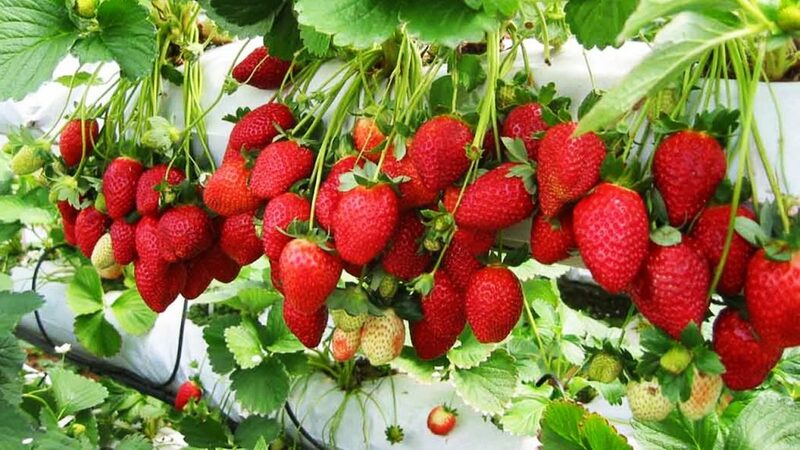 Not just strawberries but the village is fertile enough to grow from wheat, paddy, exotic vegetables, to aromatic and medicinal plants. The planting material is specially imported from California to maintain its quality standards. The next time you get a sugar rush, you know where to go!